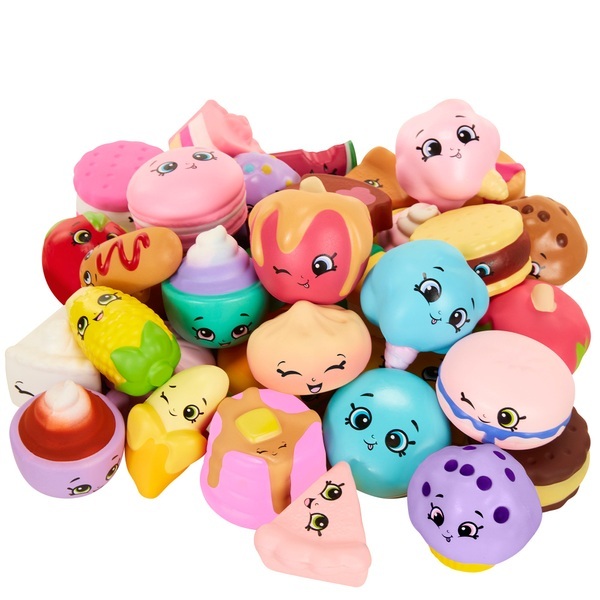 A collection of super cute, soft foam Shopkins squishies! Enjoy hours of squeezing fun! Squish-Dee-Lish are super cute slow-rise squishies that are fun to squeeze. Squish-Dee-Lish are so adorable and fun to collect. They are made of slow-rise foam and are super soft. Kids will love squishing these slow-rise Shopkins food characters. This Series 1 Shopkins collection includes 40 fun styles such as Strawberry, Watermelon, Sushi and more. Collect them all and enjoy hours of squeezing fun!